A marital separation agreement is used when a married couple decides to separate; it may or may not be followed by a divorce proceeding. A separation agreement can govern such matters as divison of property, child visitation, and both spousal and child support. In states which require that the parties live apart for a period of time before divorce will be granted, a marital separation agreement can be a preliminary step. How long your agreement will last is a matter which can be spelled out in the document; however, certain matters, such as child support, are necessarily limited in duration while others, such as division of property, are permanent. The law governing division of property varies from state to state. For example, some states, such as Louisiana, Texas and California, employ the "community property" model, where it is presumed that all possessions acquired during the marriage are jointly owned, with the primary exception being those things one spouse bought as a gift for the other spouse. Others, such as Georgia and Tennessee, use the equitable division model, where an attempt is made to divide the property acquired during the marriage according to what is deemed fair. The question of how the courts in your jurisdiction might award a given asset is important because your determination of whether to give or take should be guided by your knowledge of what would happen if the matter were before a trial judge. In any event, it will be important that you consider all of your property and make a decision as to how it will be allocated between you and your spouse. You must also address your marital debt and the tax consequences of your final determination. Matters such as these may require that you consult with an attorney for legal advice before making a decision. Division of property is, in most cases, permanent. If you have minor children, you will also need to consider the question of child support. Often, one spouse will be the primary custodian while the other spouse will have weekend and holiday visitation. Most separation agreements address how much time your child will spend with each parent, with the focus being on the best interests of the child. Quality parenting time must be balanced against the child's need to attend school. The primary custodian typically receives support payments from the other spouse. Most states have charts or formulas which you can use to determine the amount of child support required. Child support lasts, in most cases, only until the child reaches 18, although some states require educational support for minor children who attend college. Spousal support is more complex, as the type of available support varies from state to state; moreover, determining the amount of spousal support tends to be quite case specific. For example, Florida permits a court to award rehabilitative, temporary, or permanent alimony as part of a dissolution proceeding. The duration of spousal support depends upon the type involved. Rehabilitative support is designed to allow you to obtain additional training so that you can return to the work force; it, like temporary alimony, is limited in duration. Permanent spousal support may well be permanent but can terminate, in some states, when the recipient remarries. Many couples seeking an amicable dissolution will sit down and draft their own marital separation agreement. Such a document is difficult to enforce, however, unless you have obtained court approval of your agreement. 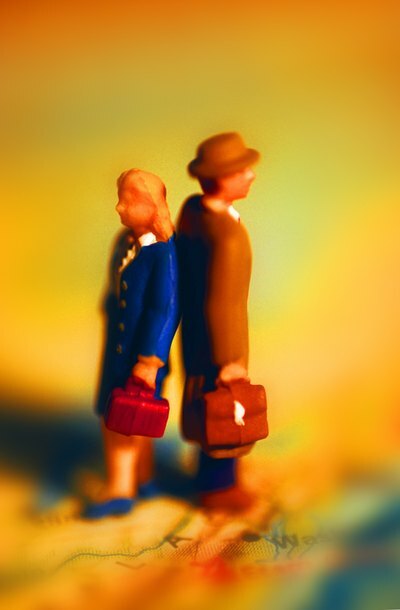 A court order approving a separation agreement is an enforceable order, and usually remains enforceable until one or both the parties seeks to modify or terminate it. Once you obtain court approval, your marital separation agreement becomes a contract which, on court approval, you can enforce by asking the court for assistance. Moreover, your separation agreement becomes binding on the parties and, with the exception of those terms which are of necessarily shorter duration, such as child support and temporary types of spousal support, is a permanent order which cannot be changed without court approval. The grounds for altering the terms of your agreement alter significantly once the court accepts it. For example, a request to change the amount of alimony or child support will require proof that of a substantial change, such as a significant increase in your spouse's salary. It is also possible to modify a permanent court-approved marital separation agreement if you determine that your spouse made substantial misrepresentations that affected your negotiations. If the court finds that sufficient cause has been shown, any of the terms of a separation agreement could be subject to renegotiation. NJfamilylegal.foxrothschild.com: Eric Solotoff, New Jersey Family Legal Blog: Alimony Terminates at Remarriage, Doesn't It?